This is the 14th day in a series: 31 Days of Memory Keeping. Check out all the posts here. My laptop, along with my phone and a Paper Coterie journal. That is the one I use for my to do lists and other personal notes to myself. I have had a lot of moms say to me, I’m not a scrapbooker. I don’t have time to write down the things my kids are doing. Then they tell me about their blog. And I say, you ARE a memory keeper. Blogging is an excellent form of memory keeping. In fact, the full word “web-log” literally is an online log or journal. I often use my blog to record milestones about my kids. I also would definitely not be able to keep up with Project Life if it weren’t for my blog. Though I have not used one of these services, I hope to at some point. I love the concept. What I have done is used my blog to pull content from when making other photo books. For instance, since I blogged both of my kids’ birth stories, when I made a photo book about their first days, I copied that blog post about their birth into the photo book. So, if you are a blogger, remember that you are telling your family’s story. And that is a valuable gift! that’s so cool that there are companies out their that put your blog into book form…i love it! thanks for the info!!! I’m so blessed by all the resources you’re sharing. I’ve been thinking of starting a journal for my husband and grandson. Now I will. I’m on my third blog but I print it out each year on Blurb and my kids LOVE it. I used blog2print to put my last years blog in a book form. It turned out very nice, will also check out the other sites. It is a bit expensive 65.00-78.00 but it is a hard back coffee table type book and a real keepsake. 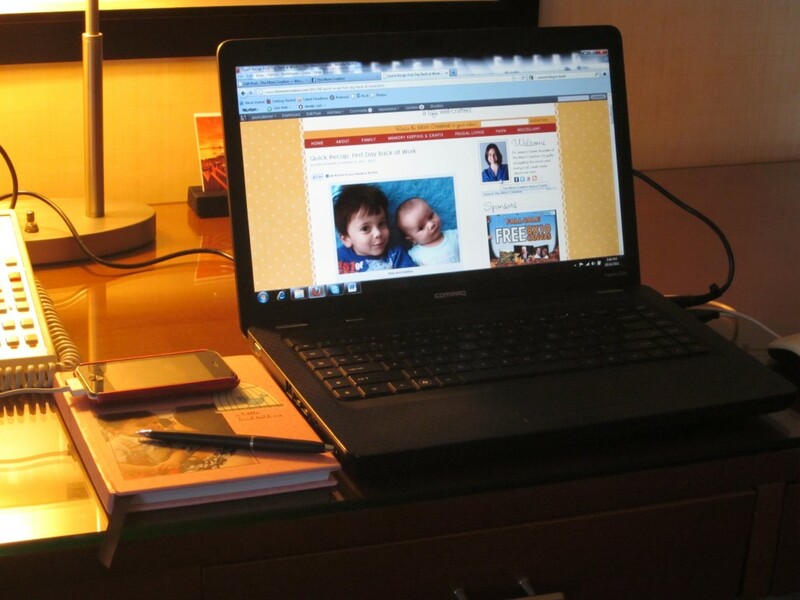 Blogging to keep our family memories all in one place was the main reason I started. It’s been great having blog posts to refer to, written when things were still fresh in my memory. Now I put most of these personal stories on my private blog to protect my kid’s identities but it’s been a lifesaver for many a page in progress.